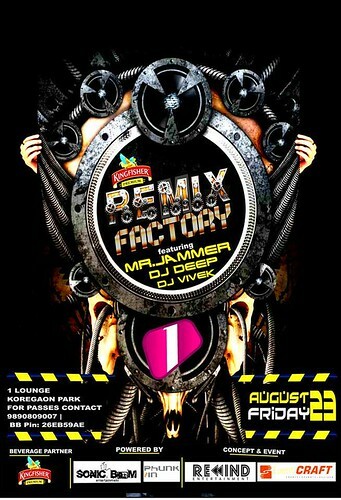 Rewind Entertainment presents Remix Factory @ 1 Lounge on 23rd Aug.
1 WEEK TO GO !!! and yes its a INDUSTRIAL LOOK to give you lovely guys something new !!!! You are invited to attend Rewind Entertainment presents Remix Factory @ 1 Lounge on 23rd Aug.